For the PC digital version of the games, of course. 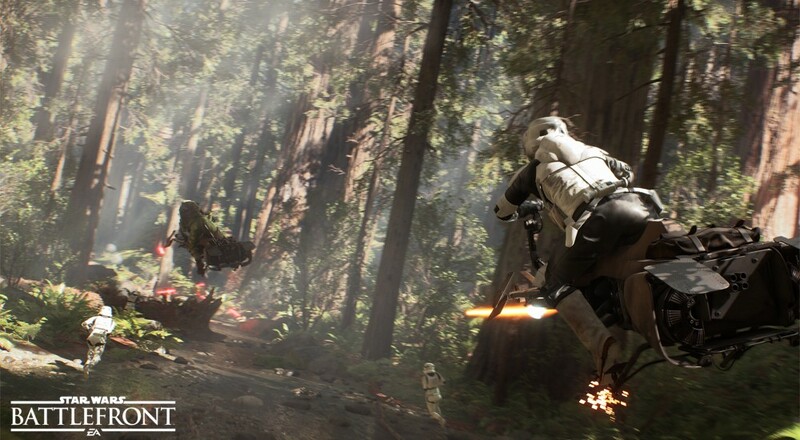 About 9 million participated in the Star Wars: Battlefront Beta this last weekend. The sheer volume of memes and gifs running on the internet right now lends a somewhat positive feel to DICE's upcoming title. If you're one of many that have made up your mind, check the deals below for a quick 25% off on Battlefront's pre-order. AT GMG, they have a new 25% off coupon code. The code works on the aforementioned Star Wars: Battlefront, cutting the price to $45. That's the cheapest we've seen the PC pre-order to date from an authorized retailer, and the same code works on select upcoming titles too. Second noteworthy one being Warhammer: End Times - Vermintide which is shaping up to be an interesting action/FPS co-op title to look for later this month. While the game does have a single player mode, it has strong co-op components. Check here for more details on the beta impression. Note: GMG's coupon code will run through October 27th at 9am Pacific. The coupon is only good while these titles are pre-orders, so in the cases of Tales of Zestiria, Warhammer: End Times Vermintide, and Overlord: Fellowship of Evil, the code will not work past their October release dates. Page created in 0.6065 seconds.